My kids love alphabet soup. 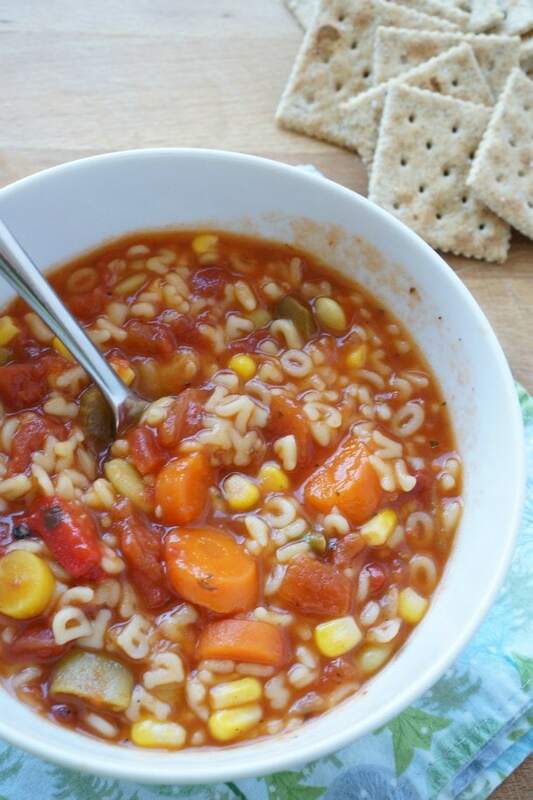 Our homemade alphabet soup is packed with veggies – which makes it one of our go-to vegetarian recipes for kids. 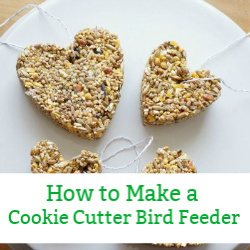 It’s especially great for those picky eaters on meatless Monday. 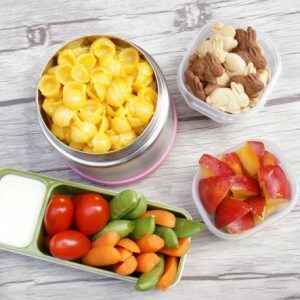 Hunting around for those little letters is a super simple way to get the kids to eat their food. Right?! I’ve been making homemade alphabet soup for my girls since they first started eating solid food. 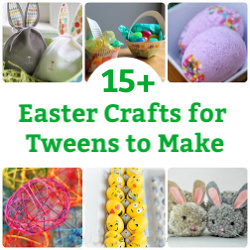 Why homemade and not alphabet soup from a can? Making your own homemade alphabet soup gives you the ability to control the ingredients and more importantly the salt content. Canned soups typically contain large amounts of salt. Homemade soup doesn’t need nearly as much salt. 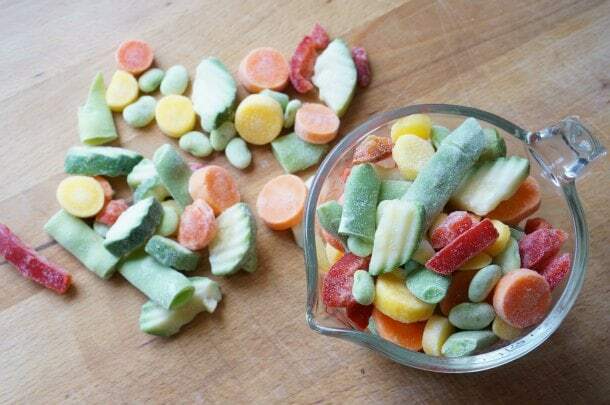 Speaking of controlling ingredients, this recipe includes a delicious combination of frozen vegetables; corn, lima beans, zucchini, peppers and carrots. Add whatever vegetables your family likes to eat – as many or as few as you like. Not to worry, if your kids aren’t keen on eating veggies, I’ve included a quick step that will help you hide them. The added bonus of making a BIG pot of soup on the weekend, is how easy it is to add soup to the kid’s lunch box all week long. There really is nothing quite like a steaming bowl of homemade soup with some crackers for lunch on a chilly winter day. Begin by warming the oil over medium heat. Saute the onion until it is softened. 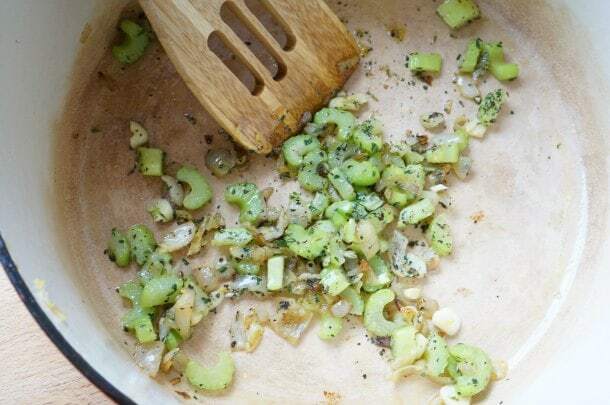 Then add garlic and celery, saute until celery is soft. Next, to wake up the dried herbs, stir in the dried thyme, dried basil, dried oregano, salt and pepper. When the herbs begin to smell delicious, pour in the can of tomatoes, the tomato paste and the carton of vegetable stock. Bring the soup up to a boil and then drop to a simmer. Simmer for 20 minutes. Now it’s time for the secret weapon – frozen vegetables. 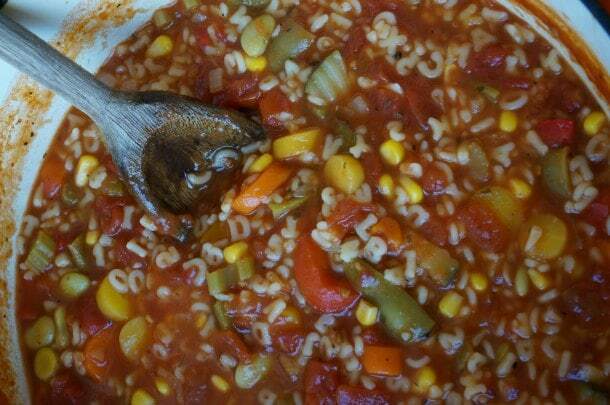 Add whatever combination of vegetables your family likes. Bring the soup up to a boil again and drop it down to a simmer. Simmer for 10 minutes. If your kids don’t like eating chunky vegetables, use an emersion blender to puree the cooked vegetables…before adding the pasta. Your soup will end up being a little bit thicker, so you may need to add an additional 1/2 cup of stock. 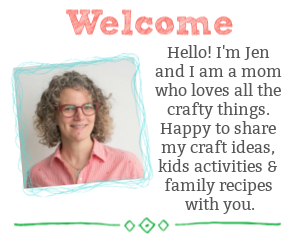 Time for the letters! Stir in the dried pasta and the additional 1 cup of vegetable stock. Simmer for 10 minutes. – until the letter are al dente. Serve up the soup right away or set it aside to cool. Once the soup has cooled, store the soup in an air tight container in the fridge until ready to use. 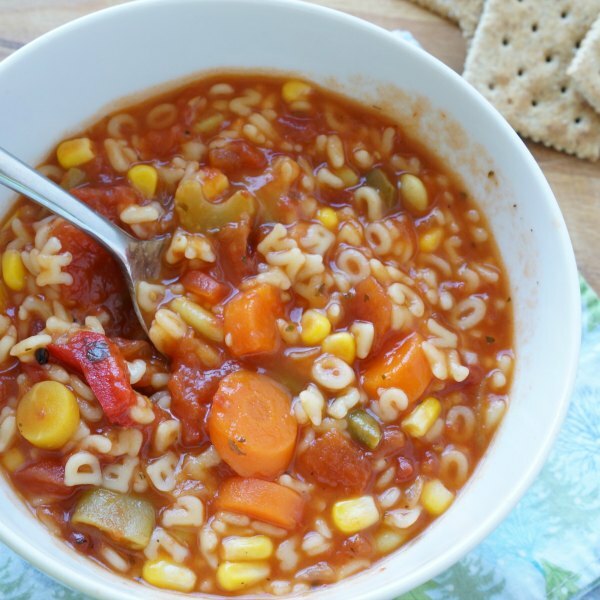 This soup makes a delicious addition to the kids’ lunch box – or mom and dad’s lunchbox. My kids love having a thermos full of soup for lunch. 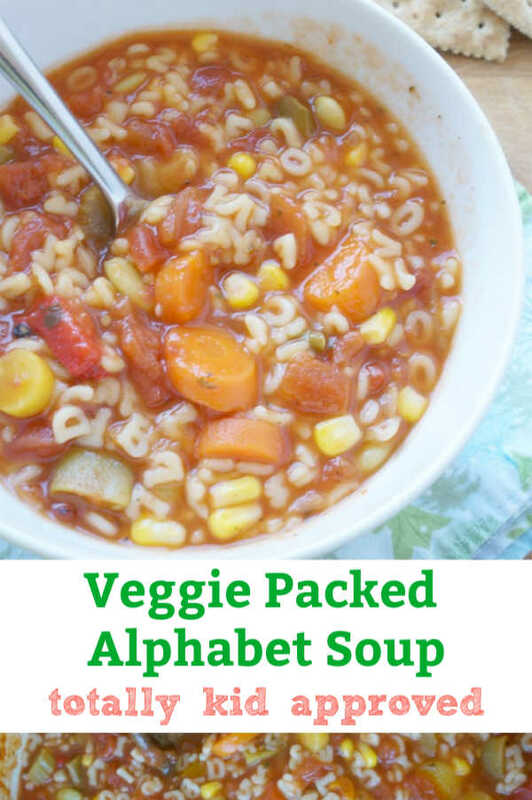 Make a big batch of this vegetable packed homemade alphabet soup and enjoy it all week long. 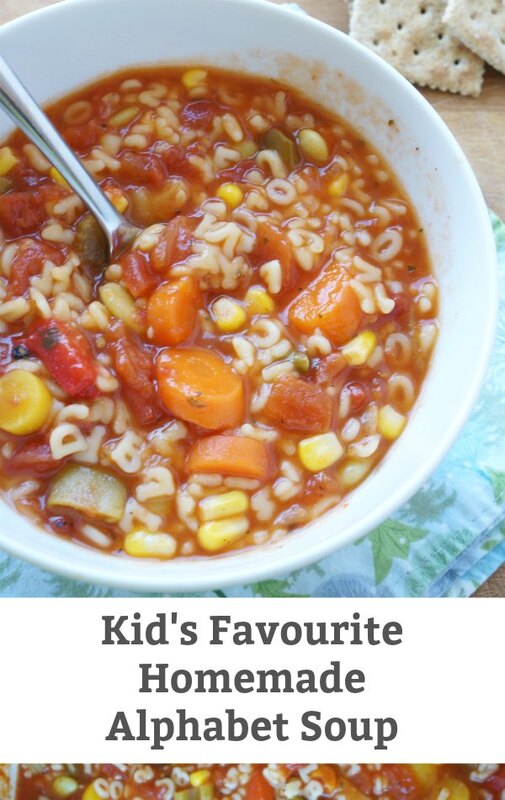 A totally kid approved soup recipe. Perfect for the lunchbox thermos. 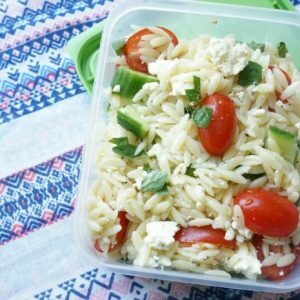 Looking for more lunch time recipes that your kids will LOVE?